Christmas party lunches and dinners, plus private party nights are available at La Grande Mare Hotel. 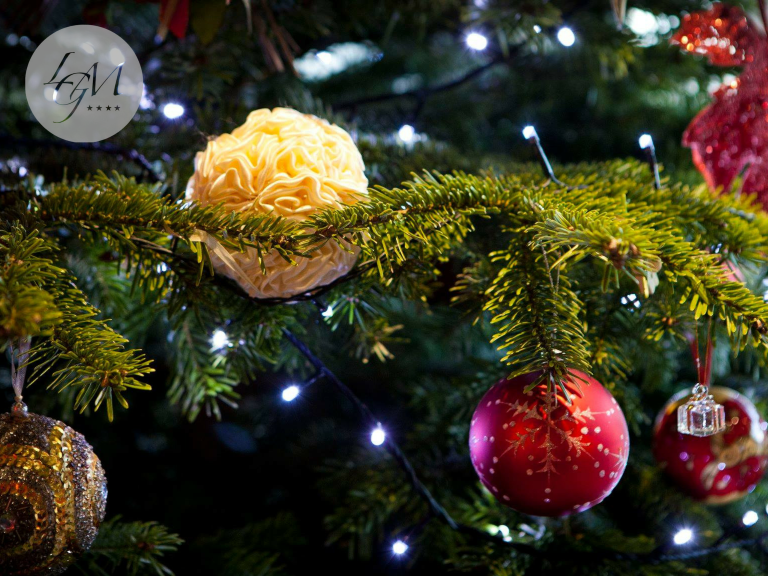 Private Christmas Party Lunches are available at La Grande Mare Hotel from £17.50 per person upon request. Minimum numbers apply. Contact the Function Manager for more details. Christmas Party Dinners and Private Party nights are available and include a 3 course meal, coffee, tea and mince pies, Christmas crackers and poppers and dancing the night away to the tunes of our resident DJ. From £29.50 per person Sunday to Thursday and £32.50 per person Friday and Saturday. For private parties minimum numbers apply, alternatively you can join a party and share the fun! Want your Christmas party to last just that little bit longer? Why not make a night of it and stay overnight in one of our well appointed rooms. It means your party starts just that little bit earlier (check in from 4pm and enjoy access to the leisure and health facilities including the sauna, steam room and Jacuzzi), check out by 10am after a hearty breakfast and save the hassle of booking a taxi. From £65 per person sharing a Classic double or twin.